British colonists in 1830s India lived in terror of the Thugs. Reputed to be brutal criminals, the Thugs supposedly strangled, beheaded and robbed thousands of travellers in the goddess Kali's name. The British responded with equally brutal repression of the Thugs and developed a compulsive fascination with tales of their monstrous deeds. Did the Thugs really exist, or did the British invent them as an excuse to seize tighter control of India? Drawing on historical and anthropological accounts, Indian tales and sacred texts, and detailed analyses of the secret Thug language, Martine van Woerkens reveals for the first time the real story of the Thugs. 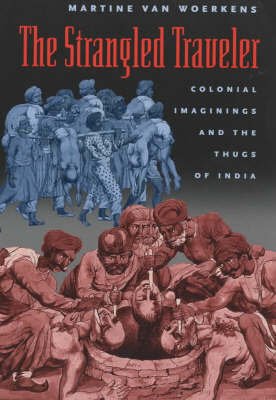 Many different groups of Thugs actually did exist over the centuries, but the monsters the British made of them had much more to do with colonial imaginings of India than with the real Thugs. Tracing these imaginings down to the present, van Woerkens reveals the ongoing roles of the Thugs in fiction and film from "Frankenstein" to "Indiana Jones and the Temple of Doom". A gripping tale of murder, crime and deception, "The Strangled Traveller" is riveting histroy and enlightening reading.